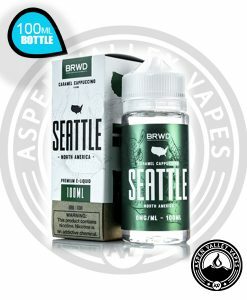 BRWD Vape Juice is taking the beverage flavored vape juice market by storm. This is an amazing company, that makes even more amazing products. We are so excited to bring their products to our customers as we know that they love indulging experiences. BRWD Vape Juice does just that with all of their vape juice products. If you are unsure as to what flavors would interest you, we would suggest checking out Seattle. This flavor is one of the most realistic and iconic beverage flavored vape juice blends on the market today. A tasteful and refreshing creamy caramel cappuccino will have you up and ready to go in the mornings with this mouth tingling sensation. This product is just simply one of those flavors that you are going to have to try. If that doesn’t seem to interest you, our next suggestion would be Rio. This flavor is a iconic representation of a tasty and indulging hazelnut java beverage. 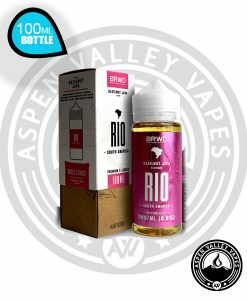 This product is absolutely amazing, and this flavor is something that every vape juice enthusiast should have in their own personal vape juice library.